Find out what’s included with a ticket and get dates, times and advance purchase ticket prices. General ticket sales start on July 28, 2017. No ticket is required for Guests 2 and under. Space is limited and tickets are available while supplies last. Subject to capacity and other restrictions. Tickets are valid for admission to the designated party and to the theme park beginning at a specified time prior to party commencement. Days and times of operation and all other elements including, but not limited to, operation of attractions, entertainment, services, stores and restaurants, appearances of Disney Characters and applicable theme park may vary and are subject to change without notice. 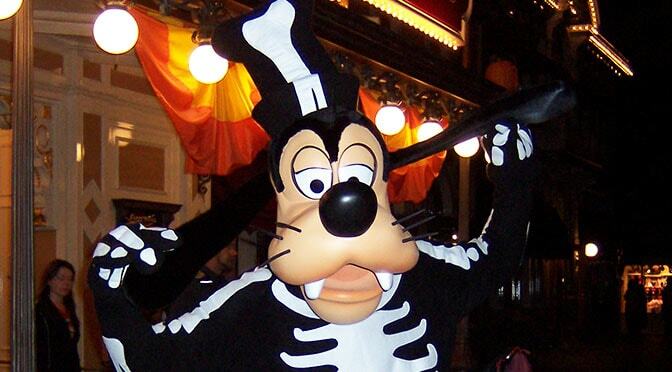 No Smoking at Mickey’s Halloween Party: Mickey’s Halloween Party is a completely non-smoking event, and there will be no designated smoking areas within the Park. Exit and re-entry is permitted to designated smoking areas in the Esplanade outside the Disneyland Main Entrance. Is it me. Or are there fewer party nights this year? it’s the first time that I can read that parking is free. good to know. just let them see your ticket?